Selena Thinking Out Loud With Purpose loves the barbecuing season and is so happy to be one of the promoters of this awesome giveaway! Enter via the Rafflecopter below and Good Luck! Go Momma Coupons was one lucky lady and won an amazing Backyard Grill Dual Gas/Charcoal Grill. Many of you know I love cooking and already have one. So Go Momma Coupons has teamed with over 50 other amazing blogger to give it away to celebrate the fourth of July. Fill out the form below and Good Luck. Contest end July 8th at 12:01 am. Open to anyone in US that is at least 18 years of age. Winner must have valid shipping address. Sorry no P.O. Boxes. Selena Thinking Out Loud With Purpose is happy to announce and be a part of this Apple iPod Touch Giveaway! Selena Thinking Out Loud With Purpose is so excited to be a part of this Healthy and Trim Giveaway! Welcome to the Healthy And Trim Giveaway sponsored by Meg's Moxie! Are you looking to get healthier and more trim this summer? Enter this fantastic giveaway and win the chance to try some awesome products valued at $300! We've purchased a one month supply of It Works Ultimate Body Applicator Wraps from Angie's Wraps to give away! On top of this, we have $20 PayPal to Give Away as well for you to shop with! This giveaway begins 6/30 at 12:01am EST and ends 7/14 at 12:01am EST. Please enter on the easy Rafflecopter giveaway below. It is not necessary to like all Facebook pages, but doing so will get you extra entries! Any questions or issues with this giveaway, please contact Meg@megsmoxie.com. Good Luck! Shopcade is a social shopping site where you can discover products you’ll love and score awesome rewards. Follow your favorite categories, brands, and people to see today’s hottest products based on your interests. Whenever you see a product you like, you can add it to your Shopcade to save it for later or share with your friends and followers. You’ll earn points along the way that can be redeemed for exclusive prizes and freebies from today’s coolest brands. Sign up for your free Shopcade membership and create a personal store that features products from a catalog of over 40 million items. If you've been wanting a Diamond Candle, here's your chance! Bargain Hound and My Frugal Wife are hosting a Diamond Candle giveaway! And they are not giving away just one Diamond Candle, they are giving away TWO of them! Yes, this means there will be 2 winners! Will you be a winner? Get your entries in! The winners will have their choice of scent from the Diamond Candles website! Selena Thinking Out Loud With Purpose is so excited to be one of the sponsors for this Diamond Candles Giveaway because the prize is so special and unique. After burning the candle down you will have another special gift of a ring inside, valued between $10 to $5,000! Now, that is a HUGE reason to bring this giveaway to you as my readers and guests! This will run from 6/29 at 12:01 am EST through 7/13 at 11:59 pm EST. This is open to US residents only. Good luck everyone! Selena Thinking Out Loud With Purpose is announcing a Novel Hana-Lani book giveaway! Personally, I love Lifetime movies and how they take stories from people's lives and other topics for women and bring them to the screen. The reviewer said that this novel reminded her of a Lifetime movie! This Review & Giveaway is done by SaraLee's Deals Steals & Giveaways and we are so happy to announce it to our readers and guests. Enter the giveaway via the Rafflecopter below and Good Luck Always! Only opening their hearts will keep them from plunging into the dark abyss. Old Nani-lei lives in Hana-lani, her family home in rural Hawaii. She looks after her grandson Henry, 52, and his daughter Lucy, 6, who have returned to Maui from Berkeley after the death of Maria, Henry's wife. Henry and Maria, both professors, had been working on A History of Ethics, and now the grieving Henry struggles to finish it. City girl Meredith Campbell, 36, fast-paced, self-centered, and beautiful, believes her body will ensure her happiness. After losing her job and finding her lover unfaithful, she flies to Maui, sure he will follow...but her plane crashes near Hana-lani. As their worlds collide in a natural world both beautiful and dangerous, Henry will be forced to act on his words, and Meredith will come face-to-face with her own life choices. A poignant journey that unravels T.S. Eliot's "permanent questions"- what is goodness, truth, and love? By the author of the thought-provoking trilogy Pilgrimage, Offerings, and Inheritance. Christine Thomas Sunderland (1947-), the daughter of a Presbyterian pastor, grew up in the San Francisco Bay Area and came of age in the tumultuous Vietnam war years. Her inspirational novels, set in the present day, reflect the larger questions of our world today: What is civilization? Why is our past important? How do we understand where we are going? She is also fascinated with the interaction of matter and spirit. Her trilogy explores the legacy of Western European culture: Pilgrimage (OakTara, 2007), tells of a mother's search for healing of body and soul in Italy; Offerings (OakTara, 2009) tells of a redemptive journey through France (Bronze Medal winner in the Independent Publisher Book Awards 2010); Inheritance (OakTara 2009) tells of a life-saving trip through England. 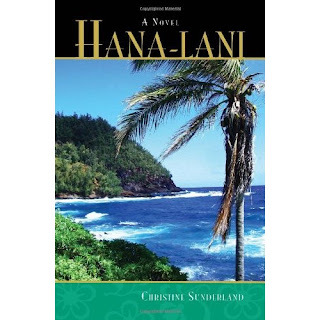 A fourth novel, Hana-lani (OakTara 2010), set in Hana, Maui, is a love story about the role of family in American culture. She is currently working on a mystery about Mary Magdalene set in Rome and Provence. Christine is Vice-President of the American Church Union, the publishing house of the Anglican Province of Christ the King. She has written numerous publications for children, including the Jeanette Series, novellas set in France and San Francisco, 8+, and has edited the Anglican Confirmation Manual and The American Church Union Church School Series (http://www.Anglicanpck.org). She lives in Northern California with her husband and two incredible cats. I love reading books like these because they remind me of a Life Time movie. I got into the plot of the story and kept wanting to read more so I could get to the good part lol I personally could relate to the characters in the story because my husband & I are two different people and a flat tire brought us together. This will be a good read for anyone who reads it. Now for the Giveaway: One lucky reader will win a copy of "Hana Lani" by Christine Sunderland just by filling out the Rafflecopter below! Coach Purse and Wallet Giveaway EXTRA! To broaden your chances of winning prizes during the Coach Purse and Wallet Giveaway, I have decided to announce another 24 HR Flash Giveaway to give my readers and guests a chance to win a $25 Target eGift Card! This giveaway is open to entrants worldwide 18 years of age or older, except where prohibited by law. No purchase is necessary to enter. Void where prohibited by law. The odds of winning are based on the number of entries received. 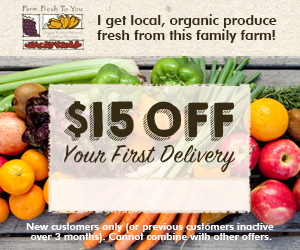 This promotion is no way sponsored, endorsed or administered by, or associated with, Facebook and is Facebook-compliant. To qualify to win, you must complete, at minimum, the mandatory entry on the Rafflecopter form. All entries will be forwarded to our sponsor for the purpose of randomly selecting a winner. Winners will be notified by email from a HipSwap representative. Winners will have 72 hours to respond or risk forfeiting their prize. Prize may re-awarded solely by the Sponsor's discretion. Prize fulfillment is the sole responsibliity of the sponsor. This blog may not be held liable for Sponsors who do not fulfill prize shipments. The participating bloggers were not compensated for this post. We reserve the right to publicly publish winners' names and/or likeness. By entering this giveaway, you are agreeing to these terms and conditions. It's becoming more important for individuals to find their own ways to making ends meet. These entrepreneurial opportunities are good for people who want to take their incomes into their own hands. A career in beauty may be right for you. Sign up and receive information on becoming an AVON representative. 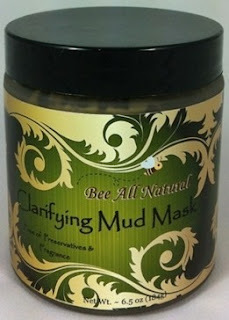 Bay Area Mommy will be celebrating its 1st year anniversary on July 27, 2012. They’re going to have a Kindle Fire & Diamond Candles giveaway with 2 winners!!! Signup Fee: FREE for 1st link, $3 for each additional linkOpen worldwide. If the winner is not from the US, he/she will get the cash equivalent. - Fill out the form at the 'SIGN UP LINK' below. - Send the fee (if applicable) via Paypal to alice@bayareamommy.com. You can bid for a follow page in the signup form below to gain more pageviews from this giveaway. I’ll get as many people for this as I would need (depends on how many bloggers sign up). The highest bidder will get the FIRST FACEBOOK FOLLOW PAGE. The second highest bidder will get the 2nd FB follow page and so on. These top bidders will also have their links moved up to the 1st follow page. Please take note that this bid is on top of the $3/additional link fee. BLOGGER REFERRAL PRIZE: Whoever refers the most number of other bloggers in the giveaway will get a $20 Amazon GC. It's Saturday! Selena Thinking Out Loud With Purpose thought it would be exciting to be a sponsor in this Super Saturday 4 Hour Flash Giveaway! We hope you will enjoy it! - To participate, please share this free event on your site and complete the form below. - If you would like to include more links (Twitter, Pinterest, Votes, etc.) for this giveaway, then please send the fee to chicalgene@gmail.com via Paypal. Each additional link will cost $3. Interested in co-hosting? Please send me a message with the amount that you are willing to share or provide the details on the form below. The names and links (site urls) of the co-hosts will be included in the giveaway post. They will also receive the first spot on the Rafflecopter widget. Thank you! ABOUT THE GIVEAWAY: We will be hosting six consecutive weekly giveaways. Each week will feature either a brand new high-end designer handbag or one that comes directly from a celebrity's closet! The new prize for each week will be a surprise! But, I can tell you - the first week will feature a Fendi handbag from the closet of a Dancing With The Stars Celebrity! On the 6th week, we will have a grand finale of a prize with bonus entries for readers who have entered the previous giveaways in the 5 weeks leading up to this coveted bag giveaway. This will be a fantastic opportunity to drive traffic to your site for 6 full weeks! COST TO JOIN: FREE! This will be a free event for bloggers to join. I only ask that you post to your blog about the event and encourage other bloggers to join. This will also help drive traffic to your site and improve your odds of winning the Blogger Incentive mentioned below! http://www.walmart.com/ip/Backyard-Grill-750-Square-Inch-Dual-Gas-Charcoal-Grill/19597692 There will be a $25 cash blogger prize to who refers the most blogger who join. The blogger will be announced once all the post are up. If post are not that referral doesn't count as a referral. HTML will be emailed out a few day in advance so you can get it scheduled. You will be required to send me your live link with in 12 hours of the giveaway or you will be removed from the RC. Please check all your links before you submit the doc. I am going to try NOT to create a Facebook group since we all are already in SO many.